Latitudinal effects on seasonal light availability and temperature result in many ecosystems experiencing coupled annual patterns of energy input (i.e., primary production) and output (i.e., respiration). This is important because demands for energy are consequently matched to availability through the seasons, conferring some measure of stability to food webs and ecosystem processes. 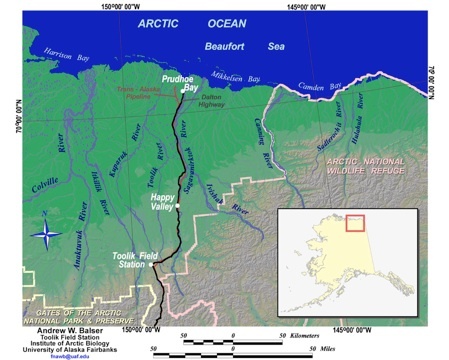 Spring-fed streams in the Arctic are exceptions to this pattern however, because they undergo dramatic annual oscillations in light regime and primary productivity, while their thermal stability maintains many metabolic processes at constant rates. 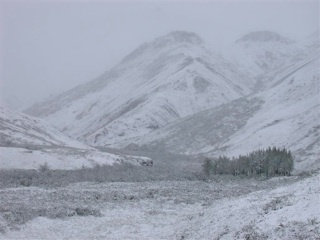 Primary production and community respiration are consequently decoupled during winter, potentially leading to energy limitation and instability during some periods of the year. 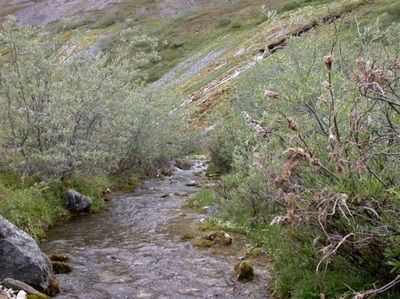 We are investigating these seasonal linkages among ecosystem metabolism, nutrient cycling and food web dynamics in a representative spring-fed stream in the Arctic National Wildlife Refuge on the North Slope of Alaska. Our results to date show that the stream ecosystem at the study site becomes acutely carbon-limited during the winter, because of the combination of severe light limitation of primary production, low detritus storage, and constant water temperatures that maintain summer rates of catabolism. 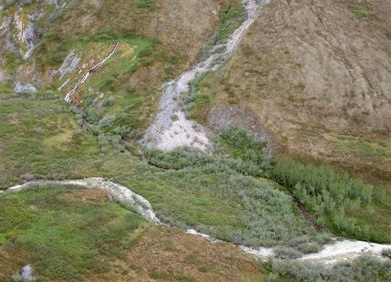 This project began in the spring of 2007 and fieldwork concluded in August 2009. We are still working on samples and data from this project. The first publication, on patterns of leaf litter processing in Ivishak Spring, was published in 2011 and is available here.